A game since April, my presence, while irrigating, interrupts the daily routine of wading the edges of the pond for this Great Egret and Great Blue Heron. Usually one or the other, they generally fly when I get within a 100 yards of them to light a safe distance away on dry ground to watch and wait until I’m done. Sunday morning as the pipeline filled, they both circled to a secluded spot in the cattails instead, just barely within range of my camera lens. Not quite a siege of herons. 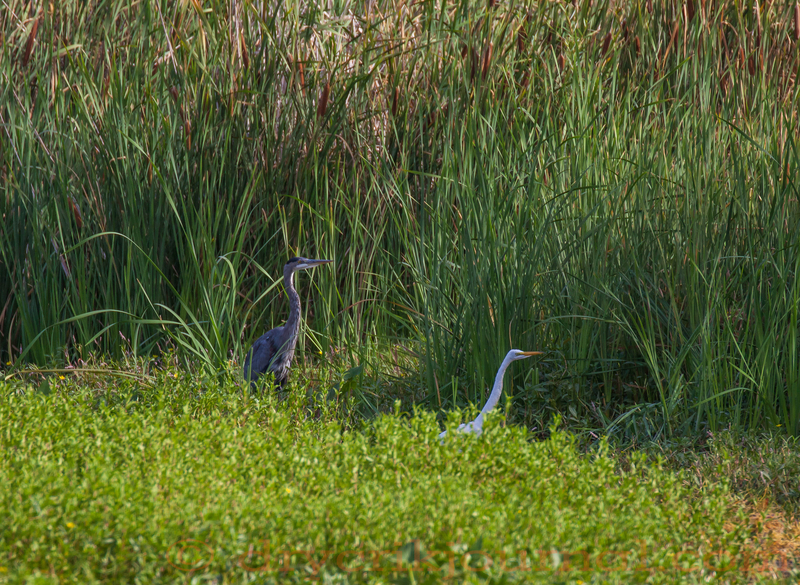 This entry was posted in Photographs, Ranch Journal and tagged Great Blue Heron, Great Egret. Bookmark the permalink.